Conveyors are a common piece of material handling equipment that help move items, particularly heavier and bulkier items, from one location to another. Conveyors are mostly found in facilities with assembly lines, such as the packaging and distribution industries. Not only does the S. W. Betz Company sell conveyors of all types, we service and repair them as well. Some of the conveyors that the S. W. Betz sells and services are listed below. Conveyor parts and accessories are also available. The S. W. Betz Company is a proud distributor for many industry leaders in the manufacturing of conveyors including Lewco, Inc. and Roll-A-Way Conveyors. If you are in need of, or would like more information on, any of our conveyors, please contact us and one of our team members will be happy to assist you. 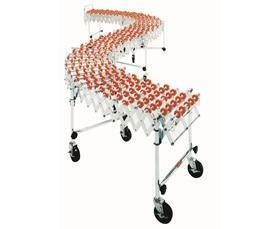 For more information about Conveyors or any other product or service from S.W. Betz, fill out and submit the form to the right.